Flipkart Big Diwali Sale has begun. This is the third cell of Flipkart in this festive season which will start from November 1 and run till 5 November. In this cell, many categories of products including smartphones, laptops and home appliances are being sold with a discount. This cell has a partnership between Flipkart and State Bank of India. For the purchase of an SBI, a 10% discount is being given on the credit and debit card of SBI. Discount will also be available on EMI option. For this, at least Rs 4,999 will be made for the purchase and the maximum discount will be Rs 4,000. On the other hand, Amazon's Great Indian Festival Sale will be on November 2. We have prepared a list of selected smartphone offers available in Flipkart Cell for your convenience. 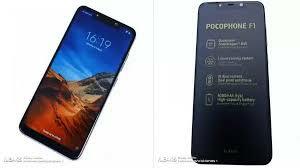 Xiaomi Poco F1Xiaomi Poco F1 6 GB RAM and 128 GB storage are being sold at Rs. 21,999 (MRP 24, 999). An exchange offer up to Rs 14,900 is also available. If you exchange an old one plus device then you will get a discount of an additional Rs 3,000. Poco F1 has a 6.18-inch full-HD + display and Qualcomm Snapdragon 845 processor. In the future, this phone is expected to get an update of Android Q.0 in addition to Android 9.0 Pie. Asus ZenFone 5Z (6GB, 64GB)In the Flipkart Big Diwali Days cell, Asus ZenFone 5Z is being sold at Rs 24,999 (MRP 29,999). The smartphone has Snapdragon 845 processors and 6 GB RAM. The ZenFone 5Z handset is a 6.2-inch full-HD + display and dual rear camera setup. The front panel has a sensor of 8 megapixels and its battery is 3300 mAh. Asus ZenFone Max Pro M1Asus Zenfone Max Pro M1 is once again available at very cheap prices. The 6 GB RAM and 64 GB storage variants of this phone are being sold at Rs. 12,999 (MRP 14,999). For the old phone exchange, a maximum of 11,700 discounts is being given. The 4 GB RAM and 64 GB storage model is being sold at Rs. 10,999 (MRP 12,999). The ZenFone Max Pro M1 has a 5.99-inch full-HD display and a 5000 mAh battery. It comes with Snapdragon 636 processor. Price: Rs 12,999 (MRP Rs 14,999)Nokia 5.1 Plus (3 GB, 32 GB)Flipkart Big Diwali Sale is selling Nokia 5.1 Plus at Rs. 10,499 (MRP 13,199) The phone was also sold at the same price during the Flipkart Big Billion Days and Festive Dhamaka Days Sale. If you exchange old phones then you will get an instant discount of Rs 9,750. Nokia 5.1 Plus has a 5.8-inch HD display and has a Meditech Helio P60 processor. There is a dual rear camera setup on the back side and the battery is of 3,060 mAh. Samsung Galaxy On Nxt (3 GB RAM, 64 GB)The Samsung Galaxy On Next is being sold for Rs 9,990, while its MRP is Rs 17,900. On the old phone exchange, an additional discount of Rs 9,200 will be available. Galaxy On Nxt has a 5.5-inch display and the Acinos 7870 processor has been used. It has 3 GB RAM. The phone has a 13-megapixel rear camera and the front camera is 8 megapixels. Nokia 6.1 Plus can be purchased for sale at Rs 14,999. Budget Smartphone Honor 7S is available in this cell at Rs 5,999. Google's Pixel 2 XL handset can be bought at Flipkart Diwali Cells for Rs 40,999. Xiaomi Redmi Note 5 Pro is available once again for Rs. 12,999. At the same time, Honor 10 is sold for only Rs 24,999. At the same time, the initial price of the Samsung Galaxy S8 has gone up to Rs 32,990 and the Honor 9 Lite can be bought for 9,999 rupees.